This last week there has been tons of traffic to my site, from people who are searching for information on Vision Boards … I think that is in large part due to Oprah’s recent show with Louise Hay, Cheryl Richardson and Martha Beck. They talked about The Law of Attraction, visioning and they must have also talked about vision boards from the many people who are searching on that term. 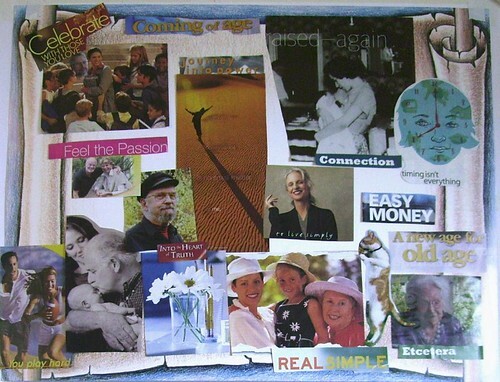 … however I also combine this simple collage work with a lot of other visioning, Law of Attraction alignment work, plus action, action, and more action! So you can’t just stop at the Vision Board. There is a heck of a lot more involved in SHIFTing your life and attracting what you want than just clipping out pictures!. 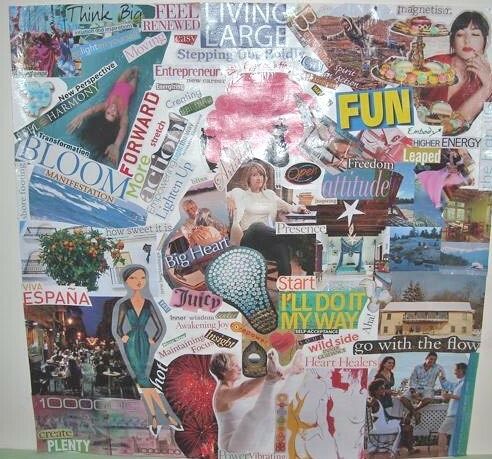 However, Vision Boards are a great step along the way, and i love doing them and helping others do them. 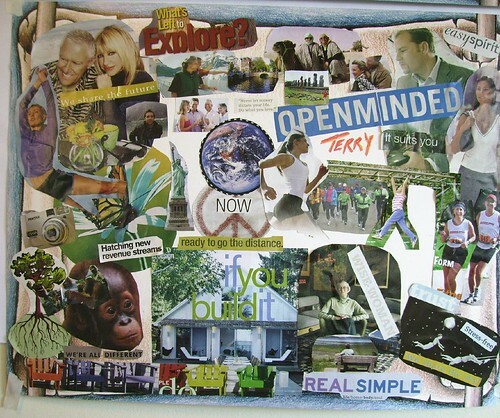 Below are some examples of Vision Boards and also a link to a fuller post that I did last year with full directions. Also, if you are a Visual Learner and appreciate the graphic approach, check out my Essential Extracts e-Book (which will walk you through a full Vision Board exercise). 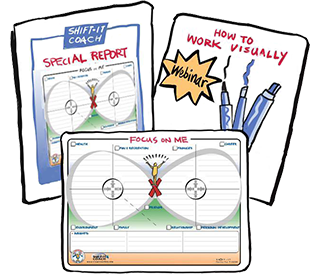 Or, check out the 17 graphic maps that make up my full SHIFT-IT Process. 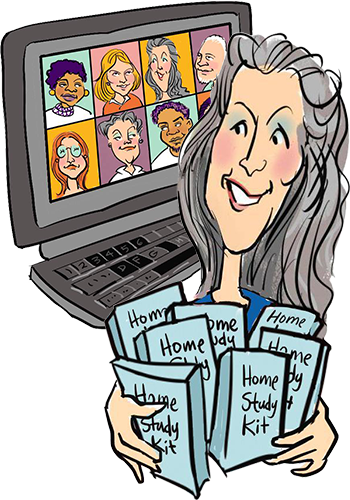 Downloadable SHIFT-IT Home Retreat Kit (includes life maps, visioning maps, planning maps, and other excellent, easy to use visual tools to align your energy and work through the blocks that are interfering with your own manifestation of what you want). 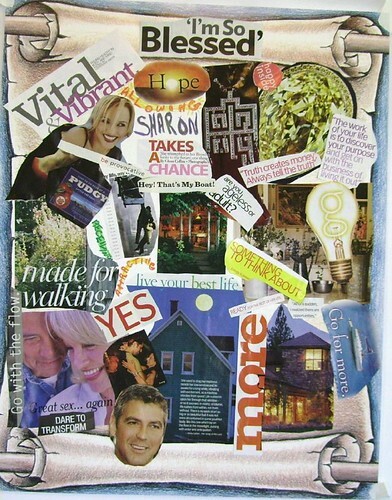 These are great examples of vision boards! I got so me great ideas for word phrases!!! Thanks for posting! YOU ROCK!! I love it! 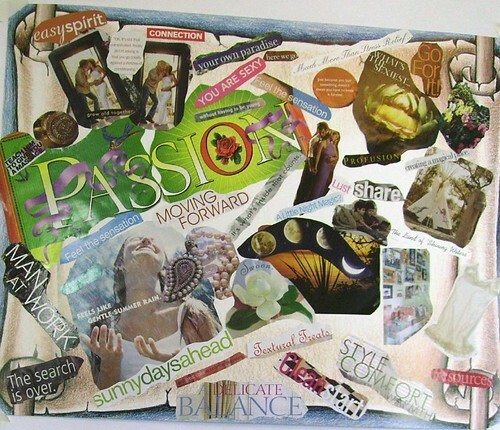 Vision boards combined with FOCUS are POWERFUL! I’ve created a portable vision board, when vision is as important to you as it is me, you can’t leave it on a wall!